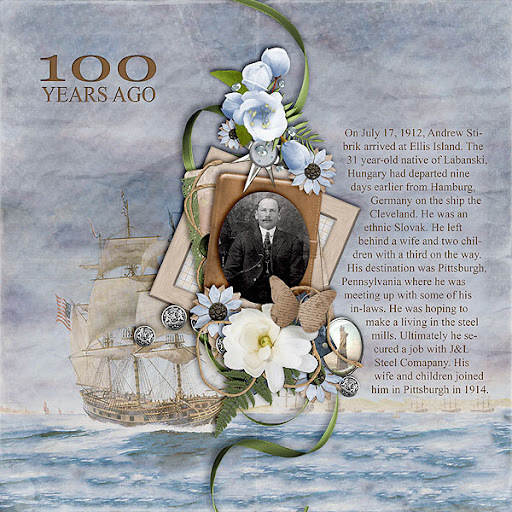 I recently scrapped this for a centennial challenge at a digital scrapbooking site. It’s the 100th anniversary of the arrival of my husband’s Stibrik ancestors in the USA. 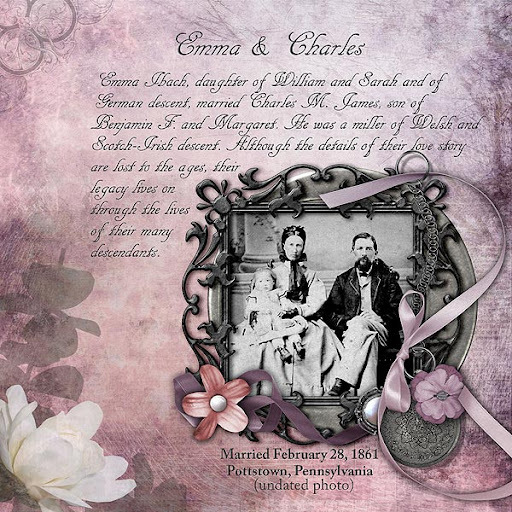 In keeping with the Geneablogger Wednesday themes of (Almost) Wordless and Wedding, today’s post is a tribute to the 151st wedding anniversary of my 2x’s great-grandparents Charles James and Emma Ibach. 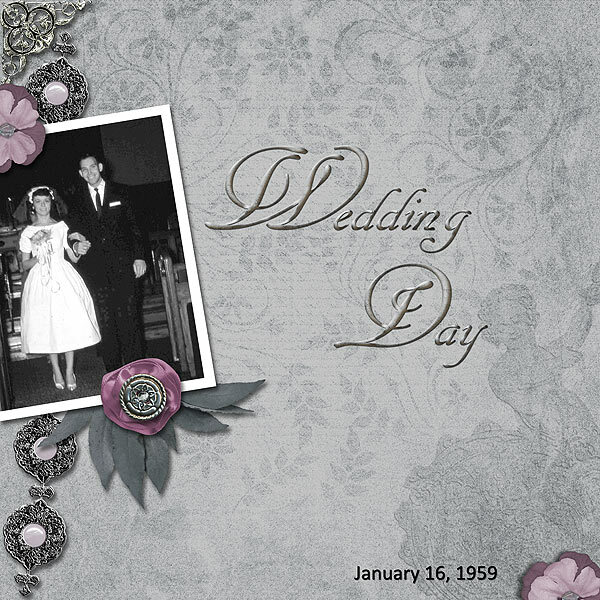 They were married in Pottstown, Pennsylvania on February 28, 1861. I don’t have an actual wedding photo, but they are pictured here in a family photo along with one of their daughters. I used my own scrapkit for the layout.